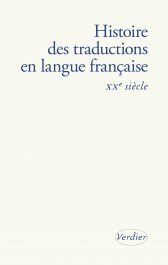 Ces deux journées d’étude, qui empruntent leur titre à l’article de Robert Barnes dans The Oxford Handbook of Translation Studies (2011), porteront sur la traduction des textes et livres « sacrés », judaïques et chrétiens, (un second colloque, prévu à l’Université d’Artois en mai 2014, se penchera sur les traditions islamiques et bouddhistes)… sans chercher à restreindre les angles d’approche. Il y a bien sûr une certaine provocation à parler de « discours du sacré », un discours que pourrait recouvrer, préserver, prolonger la traduction. Comment celle-ci se positionne-t-elle par rapport à cette tension entre le discours, activité profondément humaine, et le sacré comme ce qui excède ou transcende, incommensurablement, toute activité humaine ? Comme relier le mot au Verbe, voire le mot au mot, par-delà l’écart culturel, linguistique, philosophique, parfois même éthique ? Cette dimension poïétique nous amènera aussi bien à examiner des œuvres littéraires qui, saisissant pour enjeu le rapport entre l’humain, le discours et le sacré, le traducteur leur traducteur à entrer à son tour dans un rapport créatif, expérimental par rapport au langage. Borrowing its title from Robert Barnes’s contribution to The Oxford Handbook of Translation Studies (2011) this two-day conference aims to examine translations of “sacred” books and texts, Judaic and Christian, as a second conference will address Islamic and Buddhist traditions in Spring 2014 – from an open range of approaches. These concern the historical and cultural heritage constituted by these translations, but also the philosophical, aesthetic or linguistic debates they generated and still generate today. Contributions might want to address the purpose and methods of translators, insofar as they can be retraced, the manner in which these translations fostered or foiled one another, the “anxiety of influence” that may have directed their discursive choices, the readers’ responses elicited by these choices. There is of course a certain provocative aspect underlying the very notion of a “discourse of the sacred”, one that could be retrieved, preserved and furthered by the translation. How does it address the tension between discourse as a human-bound performance and the cultural definition of the sacred as that which exceeds or transcends all human activities? How do they tie again the human word to the Verb, or even the word to the word, across cultural, linguistic, philosophical, sometimes even ethical difference? Translation as poietics, when it engages with the sacred, can also lead us to examine literary works focusing on the relationship between man, discourse and the holy, the numinous, the divine, and the manner in which translators, in turn, engaged with their experiments on creative language.